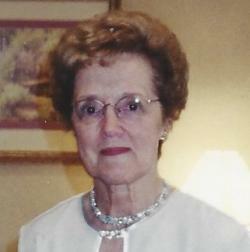 Rayma Kathryn Perry of Hartland passed away peacefully on Wednesday, January 9 at the Central Carleton Nursing Home. Born July 1, 1928 she was the first born child to Milton & Pearle Lunn. Rayma graduated from East Florenceville Superior School and Normal School with further studies at UNB. She loved to study, loved to teach and loved to learn. She went back to teaching at Hartland High in 1966 and had a special affinity for all of her Grade 7 classes. She loved books and poetry with her favourite poet being Emily Dickinson. After retiring from teaching, she spent many volunteer hours during the planning and construction of the Central Carleton Nursing Home, the “Apartment Complex” and Carleton Place. Once the building projects were finished, she took on the role of providing programming to residents of those facilities until dementia stole her life. Rayma was active in the United Church of Canada and had great admiration for that church and what it stood for. She was a life member of the Hartland UCW and the IODE. She took up watercolour painting late in life and works of her birds and flowers can be found in homes around the Maritimes. Rayma married Roland in 1949 and supported his career with the CPR and then with Day & Ross. They took great pride in the achievements of their two daughters Andrea and April and their granddaughter Aisha. They loved to talk about their children’s careers, travels and escapades. And they were greatly pleased with their “special daughter” Debbie who made life so much easier and joyful in their later years. Rayma is survived by daughters Andrea Perry of Woodstock, NB, April (Murray) James of Quaker Brook, NB, Debbie Prosser of Windsor; and granddaughter Aisha (David) O’Donnell of Burlington, NJ; sisters-in-law Joan Lunn of Fredericton, Dawn Bonard of Tequesta, Florida, Deanna Perry of Ottawa; brother-in-law Bob Mackie of Trinity, Newfoundland and many nieces and nephews. Rayma was predeceased by her parents, husband Roland (2016) and brother Alden Lunn (2014). Resting at Britton's Funeral Home, 2 High Street, Hartland (375-4343) with visiting on Sunday, January 13 from 2:00 - 4:00 pm. The funeral service will be held at Britton’s on Monday January 14 at 1:00 p.m. Internment at Greenwood Cemetery at a later date. Reception to follow. Donations in Rayma’s memory may be made to Greenwood Cemetery, Central Carleton Nursing Home Activities Department or a charity of one’s choice.